Summary: Many community banks tell us that in this rate environment, plenty of commercial customers seek the stability of a fixed loan coupon. We show you how to do this as a win-win for both your bank and your customer. Our educational missive this morning has to do with llamas. These critters are part of the camel family, they can weigh up to 450 pounds, are 6 feet tall and are smart enough not to carry more weight than they can handle (they just lie down until you unload them). They also don't bite, but humans should know that llamas can believe humans are also llamas, leading them to spit in your general direction occasionally. We just like the mental picture of a lost llama wandering around a bank branch randomly spitting at people right about now. 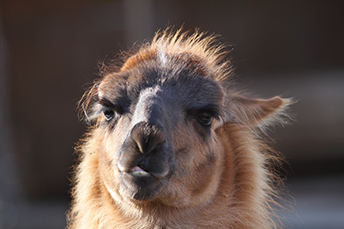 However, if your team ever finds itself wandering around when it comes to supporting business customers demanding longer term fixed rate loans that just don't fit your funding base - we have a solution to help you solve that issue and keep those customers happier than a llama chewing grass. Many community banks tell us that in this rate environment, plenty of commercial customers seek the stability of a fixed loan coupon. Given an upwardly moving, albeit currently paused, rate cycle from the Fed - floating rate loans are what most community banks prefer right now. This difference of interests creates a potential business clash. So, what can you do to fix it? The good news is that you can give your customer what they want (fixed) and get what you want (floating) without a lot of heavy lifting. Large banks do this all day long using interest rate hedging tools like swaps, but those also require specialized expertise. That is why we disassembled the normal swap process into essentially a two-part structure where we do the swap pieces and you handle the customer and coupon payment pieces. As a bank owned by community banks, our hedging team is here to help your lending team keep every single hard earned customer - no matter what sort of loan structure they want. We don't compete with you; we are here to help you. We have been actively helping hundreds and hundreds of community bank clients nationwide, just like yours, do hedging since 2005! To back up a bit, it is important to understand that at its most basic, an interest rate swap is fairly straightforward. It is simply an agreement between two parties to exchange one stream of interest rate payments for another, over a set time period. The most common variety of this is often known as "vanilla" where floating rate payments are exchanged for fixed rate payments. Vanilla interest rate swaps make up the vast majority of the market, though it's certainly possible to find other types, including those that exchange one floating rate for another. Many banks and their customers use hedging to modify or exchange the interest rate on a fixed rate loan to something that floats for the bank instead. Giving the borrower a fixed rate loan allows that customer to make strategic plans based on consistent payments over the life of the loan. Transforming that payment into floating for the bank helps the bank manage interest rate risk, better match core funding sources, and better manage credit risk (the loan rate to the customer does not increase when rates rise, so corresponding default rates don't rise either in this scenario). Give us a call or email us, if you need more information. We are happy to teach you how you can better serve, capture and keep this group of customers simply and easily. Some legislative bodies are crafting measures to prevent cashless only payments at retail establishments. The New Jersey Legislature and Philadelphia City Council were the first to pass measures this year, while New York, Washington, San Francisco, and Chicago are reportedly also considering similar bills. The argument is that cashless only excludes those who may not have credit cards or apps to pay for goods and services, such as lower income individuals. Meanwhile, retailers note that lines go faster, employees can focus on customer service vs. the transaction and there is a decreased danger of robberies, if there is no cash exchanged. As reported in the Wall Street Journal, Fed Boston President Rosengren said it is prudent to wait and see if the economic issues that surfaced at the end of 2018, including slowing global growth and market volatility, will impact the economy in 2019 before raising rates. Electronic payment company ACI said it will acquire Western Union's bill pay business (Speedpay) for $750mm in all cash. The move expands ACI's bill pay portfolio to 4,000 customers.